Last night was eventful at our house. 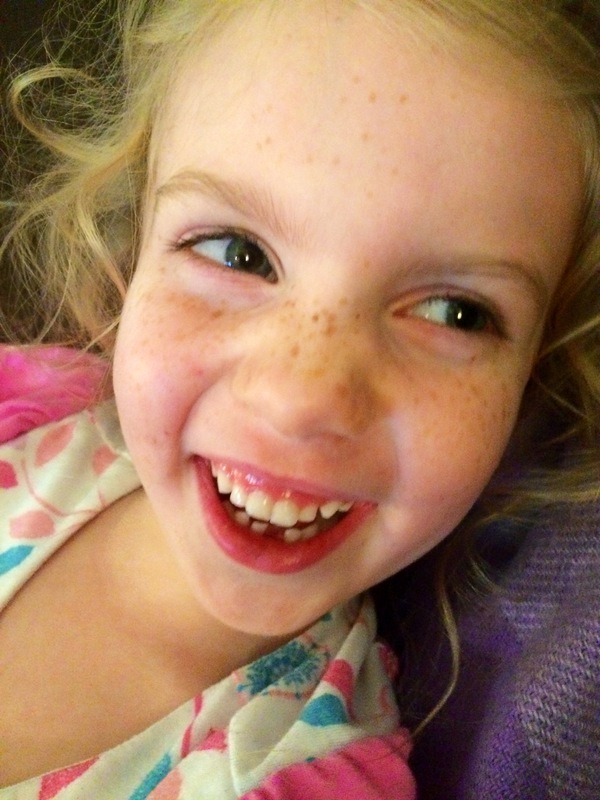 The petite lost her tooth! She could not have been more excited, it has been wiggly for weeks and the new tooth started to poke through, so it was time for this one to come out. It’s so incredibly exciting for her, although when it first got wiggly it did cause a little anxiety. With her loosing her tooth it makes you think about when you lost yours and if you had traditions or if you want to start new ones with your petites. Thinking about my childhood there was a book that my mom got me when I lost my first tooth and I remember reading it with her when each subsequent tooth would fall out. I wanted to round-up some of the books that we’ve read or ones that I am going to check out (she has another very loose tooth) for future teeth. Little Rabbit’s Loose Tooth by Lucy Bate and Diane DeGroat which was first published in 1975, so if you were at the age of loosing teeth during this time, you may remember having had this delightful book read to you as a child. I love that a book that my mom read to me is a book that I can read with my girls. What a fun tradition. Bear’s Loose Tooth by Karma Wilson and Jane Chapman is a lovely story. I’ve written before about the Bear books and I think they are wonderful. They are always about friendship and how friends are there for you to help you get through your worries – I love that Bears friends reassure him when his tooth is wiggly and it makes him worried. We believe in the tooth fairy in this house. I like the idea of having the tooth fairy pick up her spoils from outside of the bedroom – that way when she sneaks in at night she won’t risk stepping on a duplo or other devilishly sharp toy and getting found out. 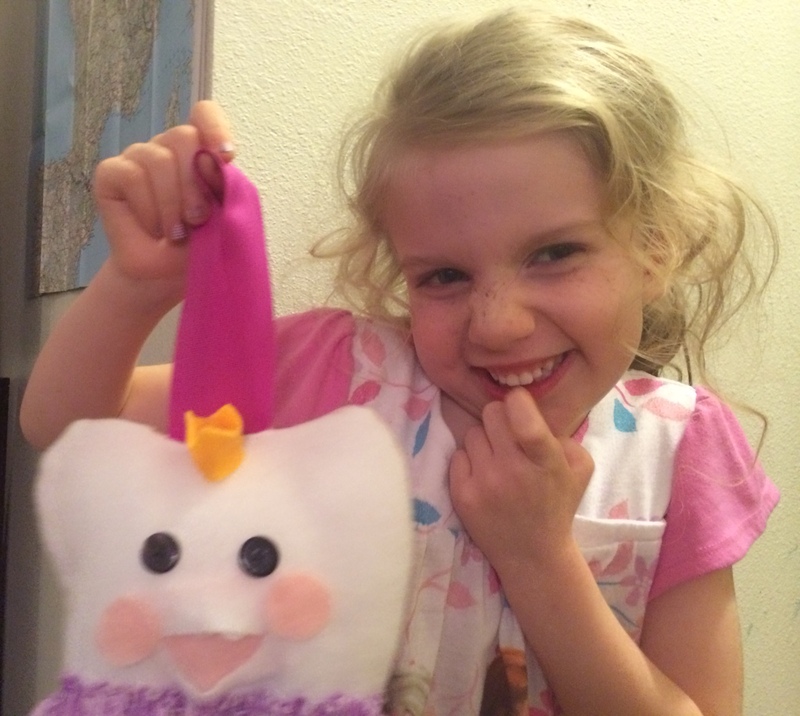 I checked pinterest and found tons of really cute tutorials for tooth fairy pillows – here is the one that the petite picked out – it was surprisingly easy to make – here is the tutorial that I used from mmmcrafts. Also, help a tooth fairy assistant out if you will, what’s the going rate for a tooth these days with inflation and cost of living we weren’t sure. ← SnoozeFest – come and get your nap on! I loved Little Rabbit’s Loose Tooth! I had totally forgotten about it until you posted the cover. Also, so impressed you made the tooth pillow. Thanks so much…getting lots of use out of that pillow these days.